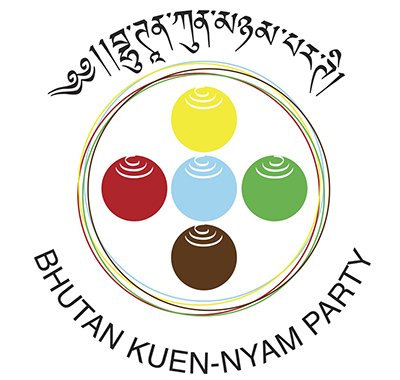 Bhutan Kuen-Nyam Party (BKP) has stated that the Government needs to pause and review the trending impacts of hydropower projects before venturing into development of any new such projects. With 80 percent of the country’s total debt pumped into the hydropower development, the party, in a press release, has stated that the government must be sure of the outcomes from such an investment are as projected. Bhutan’s debt by the end of 2016 will amount to Nu 150B. The release also states that with increasing disbursements of PHPA I and II, the country’s debt to GDP ratio is estimated at 111 percent at the end of 11th Five Year Plan. According to Sonam Tobgay, the BKP’s President, the government should also study how cheap hydropower has benefitted various sectors in the country. The party has also raised concerns over sole dependence on hydropower projects for economic self-reliance. This, the party states could lead to the country’s overdependence on one source and a buyer. “Bhutan should not have any urgency to develop new hydropower projects and must take a pause to undertake some reflection before blocking another river.” Sonam Tobgay says instead prudent borrowings should be invested in sustainable job creation and private sector development because ultimately it is the people of Bhutan who will have to pay off the liabilities and not any government. late 1970’s in Harryana state there is state election and one of the MP said in his campaign ” The water which has used for producing electricity is given for irrigation purpose is like a Milk which has taken butter from it, which can be no use for the crops”. I Mean BKP suggestion’s as same as that Harryana MP.